How Important is Guitar Pickup DC Resistance? 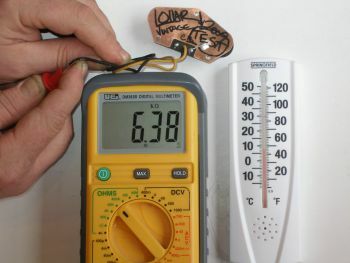 There is quite a bit of misunderstanding about the use of DC resistance as a measurement of a guitar pickup’s output. 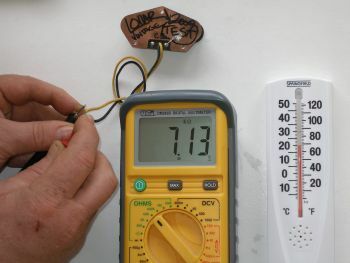 DC resistance (kΩ) is a handy but rough measure of a pickup’s output. It is most useful for making general comparisons, but not taken much beyond that. We say this because there are a number of variables that can affect DC resistance. In fact, two of these factors can actually change the DC resistance reading on the SAME guitar pickup. Temperature, specifically, will do this. 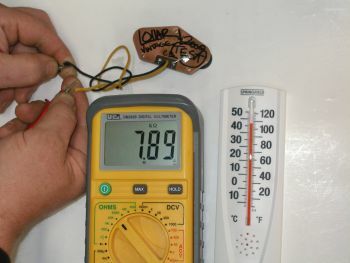 The very same pickup will have a higher DC resistance reading when the pickup is warmer, and a lower DC resistance reading when the pickup is cooler. For example, if the pickup has been sitting in a sunny window, the dc resistance will read higher. If you took that same pickup and stored it in your basement / practice room and it was cooler in temp, the DC resistance would read lower. Another factor is variation of copper wire. Although it’s manufactured to rigorous specs, variation exists between spools of copper wire—including spools made by the same manufacturer and from the same lot number. A microscopic size variance that’s still within specs can affect DC resistance. We get phone calls from customers who have questions about the DC resistance their new guitar pickup is showing – at that moment – and the DC resistance values that we publish on our web site. They want to know if there is something “wrong” with the new pickup. We tell them that unless they are taking that reading at exactly the same temperature as we did here in the shop, their pickup will read slightly differently. More often than not, they will have just received the pickup, pulled it out of the box, and tested it moments after it has just been sitting in either a very cold or a very hot delivery truck. Another thing to keep in mind is that the DC resistance values we publish are midpoints. The testing was done on average size production runs. Each of the pickups in those runs had a different reading. The values we publish are the midpoints of those groups of readings. 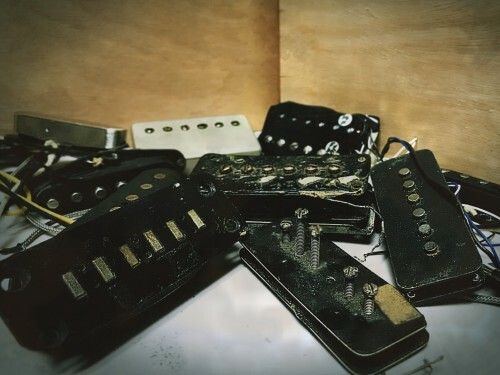 Follow this link to see a full listing of Lollar Pickups DC resistance.